Scale Retro-fit Kit | ConveyWeigh, LLC. ConveyWeigh, LLC. Retrofit those older belt scales with a modern integrator and speed sensor. As long as the old scale has 3 Mv/V load cells, this kit will bring the old unit up to modern standards. Also works well converting an old mechanical scale to electronic. Add load cells to the weighbridge and you are good to go. Consult ConveyWeigh for Specific Applications. 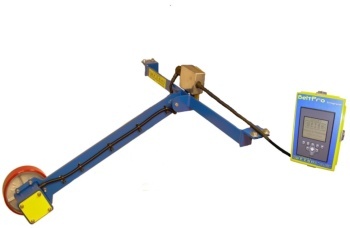 Price includes Speed Sensor and 1 Load Cell Integrator, F.O.B.